The Japanese carmaker, Honda which is planning to launch several new models in the country in the next couple of years, has discontinued their flagship sedan, the Accord. This is surely a bad news for the Accord lovers in India, but the poor demand for the vehicle forced Honda to take such a decision. 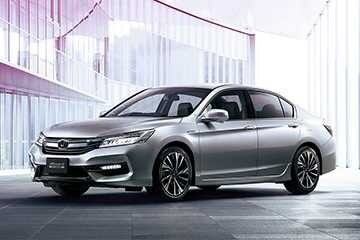 However, it is speculated that the company will introduce the new generation Accord in the market by 2014-15. Speaking to ET, Jnaneshwar Sen, senior vice-president for marketing and sales at Honda Cars India, confirmed that the company has halted the production of the Accord in the country. He also added that the new generation model will also make its way to India, however the exact launch date is yet to be announced. 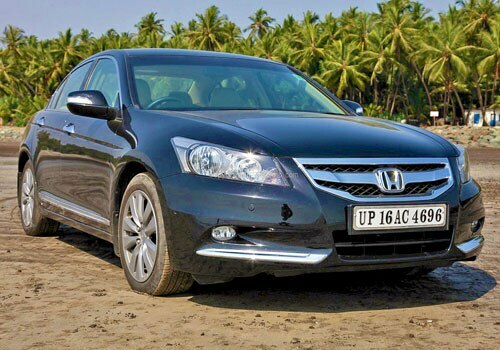 One can identify the poor demand for the Accord by seeing its sales in past eight months, when Honda only managed to sold 272 units of the sedan in India. Moreover, since the inception of eighth-generation Accord in 2008, the company has sold only 11,492 units. The new generation of Honda Accord is also speculated to be made available in both petrol and diesel guise. As the main reason behind its downfall is the lack of oil burner, where its competitors are being offered in popular diesel engines. The phased out Accord was powered by a 4-cylinder 2.4-litre engine that develops 180PS and 22Nm of torque, while a more powerful 3.5-litre V6 engine was also on offer, which produces 275PS and 339Nm of top torque.